This club was started in the year 1887, originally by British and American Settlers for playing Tennis and other games with a hall and library. Though started for social events like picnics, parties and dances in 1887, now the club is a private one offers recreational facilities such as Tennis Badminton, Billiards, Table Tennis, Cards etc., The Club owns a fine library. The club has 14 Chambers and a dining hall providing meals. Though it is for members only, visitors can become temporary members an introduction by permit members. The club functions at seven road. 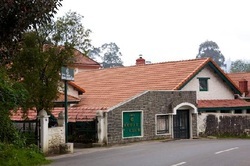 The Members of the Kodaikanal Club thought that the Club should lay out a golf course in a suitable place. However, on June 17,1895, twelve enthusiastic golfers decided to start a separate Golf Club and so the Kodaikanal Golf Club came into being. The current membership is more then 300, with 58 Life members. The club had 23 members in the beginning and the membership included persons of various nationalities living in Kodaikanal. This international character of the Club membership continues to this day. In the Rotary Year 1977 - 1978, the Club collected a much larger amount and organized an "Eye Camp" for the residents of villages around Kodaikanal. The Camp was co sponsored by the Rotary Club of New Forest, in the U. K.In the Rotary Year 1977 - 1978, the Club also arranged to get funds, through Rotary International World Community Service, for the new X -Ray Unit in Van Allen Hospital as well as for starting 'Cottage Industries' in Kodaikanal Villages to benefit the Poorer families. In the year 1940, the Boat Club was electrified. During world war II the Club boats were given free of charge to men of the Allied forces in uniform. The club offered facilities to them in organizing a Regatta every fortnight. As on 31-03-1995 the Club has about 900 permanent members and life members. Life member category was introduced from June 1994. As on the date the Club has 65 Single, Double Row Boats, 10 Punts and 18, two seater and 4 seater pedal boats made of fiber glass. The Club has started a Medical Centre through which free treatment and medicine is given to more than 1000 poor peoples of Kodaikanal town and other villages in Kodaikanal.